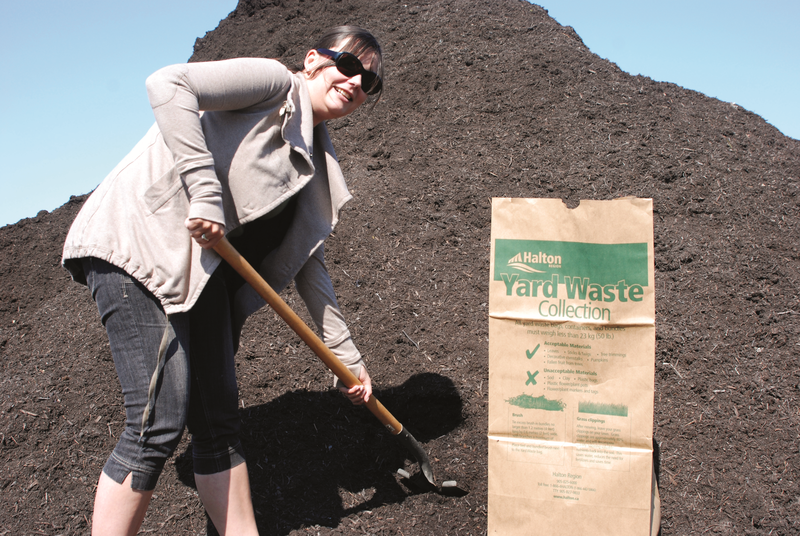 There is still time to take advantage of Halton Region’s Spring Compost Giveaway. Every year Halton collects your yard waste – leaves, garden trimmings and brush – and converts it into high-quality compost. Until Saturday, May 10, you can visit the Halton Waste Management Site at 5400 Regional Road 25 in Milton to pick up compost free of charge. The annual spring event, which began on May 5, runs daily from 8:00 a.m. until 4:30 p.m. I invite you to visit the landfill to pick up garden-ready compost for your spring gardening and landscaping projects. a non-perishable food item or cash donation, to be distributed to Halton-area food banks. Halton Region runs the Spring Compost Giveaway every year to thank residents for helping to divert yard waste away from Halton’s landfill. Halton residents are diverting 60 per cent of single-family household waste by participating in Blue Box, GreenCart, reuse, household hazardous waste and yard waste programs – this is an incredible achievement. Halton’s waste management practices, including our yard waste program, both protect the environment and make good financial sense. Our landfill site was originally scheduled to close in 2012. Thanks to the waste diversion efforts of Halton residents, the landfill life has been extended by more than 30 years to 2044, saving taxpayers the estimated $1 billion cost of a replacement site. For more information about the Spring Compost Giveaway, visit Halton.ca/compost or dial 311. 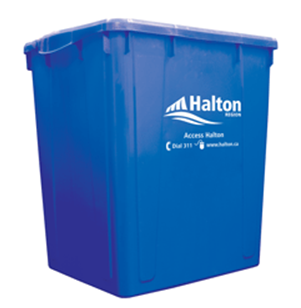 You can also follow Halton Waste Management on Twitter @HaltonRecycles, #HaltonCompost, and visit the blog at Haltonrecycles.ca. On Saturday, September 29, 2012 Halton Region’s landfill site turns 20!! To help celebrate this important milestone, residents of all ages are invited to attend a community drop-in at the Halton Waste Management Site located at 5400 Regional Road 25 in Milton. Everyone is welcome to drop-in between the hours of 10 a.m. to 2 p.m. and enjoy the official cake cutting at 12 noon. This milestone event marks the 20th anniversary of Halton Region’s landfill site which opened in 1992 and was expected to last only 20 years or until the year 2012. Thanks to the efforts of Halton residents participating in Halton’s waste diversion programs like the Blue Box and GreenCart, I am proud to say the landfill life is now projected to the year 2040! The open house will also launch a pilot project for an Orange Box to collect household hazardous waste such as garden chemicals, cleaning products, medications, paint and stain. The first 500 residents who attend the open house and who would like to participate in this pilot project will receive one Orange Box to use at their home to store and transport household hazardous waste to the Halton Waste Management Site. While the Orange Box is the same size as a standard Blue Box, the Orange Box is not to be placed at the curb for collection. This pilot project will determine whether the Orange Box assists residents in the diversion of their household hazardous waste products. If you plan to attend the open house with your family and friends please email hwms20@halton.ca to confirm your attendance. The open house is wheelchair accessible and there is free parking on-site. You can learn more about the upcoming 20th anniversary open house by visiting www.halton.ca/hwms20. You can also follow Halton Waste Management on Twitter @HaltonRecycles (event hash tag #hwms20), on Facebook (search Halton Waste Management Site’s 20th Anniversary), visit the blog at www.haltonrecycles.ca and watch HaltonRecycles on YouTube. During the recent summer months, I have heard from some residents who are using their GreenCart every week, but are looking for tips on how to reduce any potential odours and pests. It is important that we continue to use our GreenCarts to divert waste from our landfill and extend its life. Together, through our participation in the GreenCart program every week, we are now diverting 60 per cent of waste away from our landfill. This is an incredible accomplishment. I spoke with our experts from Halton’s Waste Management program to learn more about some of the practical things residents can do to help prevent problems with odours and pests in GreenCarts. Here are a few tips they shared with me. Wash your GreenCart and Kitchen Catcher regularly. The Kitchen Catcher is dishwasher safe. Use mild soap and water when cleaning your GreenCart, and pour the liquid onto your garden or lawn. Keep the GreenCart dry: Add shredded papers to the GreenCart to keep food waste dry. Cover your organic material:Wrap organic material in newspaper or soiled paper towels or place in a cardboard box like a cracker or cereal box (plastic liner removed). Coat your GreenCart or Kitchen Catcher: Sprinkle a handful of salt, garden lime or powdered ginger in the GreenCart or Kitchen Catcher to help prevent pests and odours. Wrap meat and bones in paper and add additional layers of paper to the GreenCart each time you empty your Kitchen Catcher. Clean out your fridge a day before your collection day, instead of the day after. Store meat scraps in the freezer until collection day, if space permits. Do not place the GreenCart in direct sunlight. If using a certified compostable bag, ensure it is completely tucked into the Cart when placing the GreenCart out for collection. The liner’s edges may be used by animals to pull the GreenCart over. I hope you find these tips helpful during the remainder of the warm weather, and enjoy the rest of your Summer. For more information on the GreenCart program please contact Halton Region by dialing 311 or 905-825-6000, toll free 1-866-442-5866, TTY 905-827-9833 or visit us online at www.halton.ca/waste.